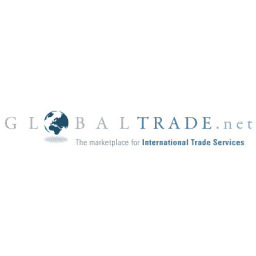 We are a unique trade-import-export enterprise founded in 2014 and based in Amsterdam, The Netherlands (parent company Olive Origins B.V. KvK# 60196742). Our experts focus in the best value-for-money sustainable products. We work with local retail chains, supermarkets, distributors, horeca businesses, deli's. We use a 'no-nonsense' approach to our collaborations. We carefully select among many products, a handful to trade that align with the market trends, developing them on the way. Group Origins acts as an importer, exporter and mediator in the food products sector. Our main focus are healthy free-from and all natural food products of the highest quality and transparent origins. Our products represent their roots and place of origin and tell a story. Products with an international orientation and an established presence in various markets and countries. Due to our culinary enthusiasm, our passion for food and the long experience we carefully select the products we export or import. Always adapting our assortment to the client or market we are targeting. Being exporters and importers we hold deals with large retail chains and distributors. Our network expands throughout Europe. We specialize in the Netherlands & Benelux markets. We hold specialized knowledge on EU markets and transportation therefore we place great importance on working with prestigious suppliers and customers. Most of our importing to the Netherlands takes place from Mediterranean countries while our exporting activities span globally. We hold our headquarters in Amsterdam, the Netherlands with subsidiary remote facilities in Athens, Greece. As we particularly have expertise in Mediterranean products our sourcing always incorporates national liaisons in most of the Mediterranean countries. Local experts with strong local knowledge on production of goods and supply. We also collaborate on a daily basis with food experts-connoisseurs. Experts on olive oil, wines, dairy advise us on the quality of products we source and trade. When it comes to distribution we only work with leading, established and reliable partners through mutual professionalism and a long standing relationships. We offer guaranteed lead times per product and we will customize our logistics process to suit your needs. Regardless of your location, through our trusted logistics partners, we will combine any available transportation option to deliver on the promised lead times. As we believe in tailored service we offer our clients options to do certain modifications to a product. Working very close with our manufacturers and suppliers we re-imagine product design, labeling and product distribution. Additionally when it come to product quality, our products are supported by all the necessary certifications, analyses and QA documentation and we work only with manufacturers awarded the most strict certifications ( HACCP Plans, Good Manufacturing Practices (GMPs), 3rd Party Audits, Organic Audits, Non-GMO Project Verified Audits). Our principles are competence, professionalism and transparency. We plan before execution and execute according to the plan. We aim at supporting producers expanding their market horizons. We aim at retailers increasing their market share. We present holistic product propositions that are fit for purpose for the needs of our clients. For each product sold we donate part of the profit in organisations that help local communities in need. Are you a manufacturer and you have your own promising brand? We support you in expanding to new markets, reaching our clients and/or developing your own new series of products. Navigate through our selected brands and contact us directly using the form below. The information you submit is only used by our company in order to be able to respond and is not shared with 3rd parties nor used for advertisement.